Mario Escobar is a historian and writer with more than 40 published titles, and his work has been translated into over twenty languages. His essays and novels have already conquered hundreds of thousands of readers. This was a crazy, thrilling, dark thing to read. I thought the whole crazy person in the nut house that no one else can figure out plot was very, very interesting. I'm sure if I was in Dr. Solomon's shoes I would have wanted to figure out the mystery of The Circle too. Though I don't think I would have gone to the extent that he did, especially if I had a family that was in danger. Maryam was once a successful woman that was thriving in life but then something happened that changed her world. Now she is in a psychiatric hospital and no therapist can figure her out. 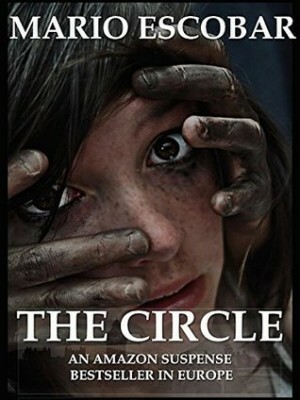 Then Dr. Solomon gets her case and he is determined to figure out why the only thing this woman can say is, the circle. To be honest I really didn't care for Dr. Solomon's story, I really didn't care about the details into his family which is unusual for me. For some reason, his family stuff was uninteresting and a little boring but I have no idea why. I'm thinking it was just the way it was written -maybe I'm just not used to this authors style of writing. Maryam was insane, even when it didn't seem like she was insane she still didn't seem completely there -I hope that makes sense. The mystery behind the circle was pretty crazy. What it ended up being was not what I expected at all, it truly surprised me. The plot twist at the end made me gasp and the ending left me with my mouth hanging open. I recommend this book to anyone that's looking for a good thriller that will leave you speechless in the end.